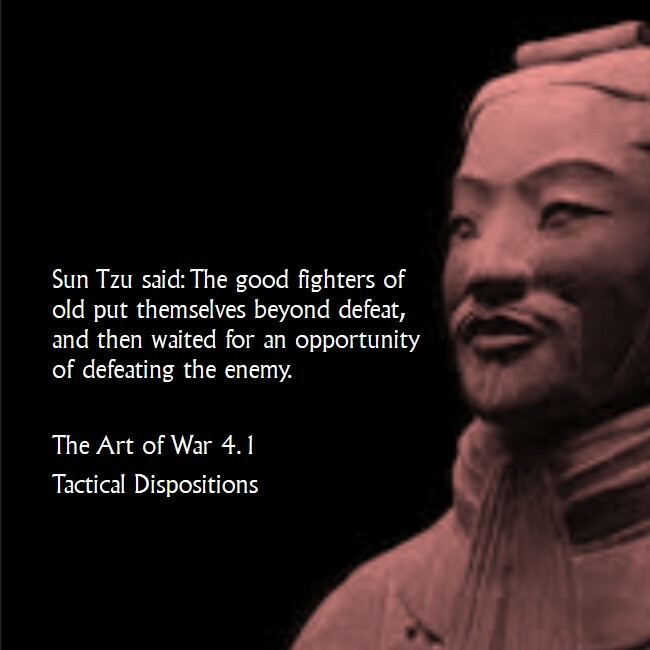 This is the first in a 7-part series comparing Sun Tzu’s The Art of War to youth wrestling and how we can apply these lessons in our own lives. Alec is about to wrap up his second season of wrestling. With a month left to go in the season, I am amazed that he still only knows a few basic moves. At first I was frustrated. Why isn’t the coach teaching them new moves? Every week it seems like we go over the same fundamentals and rarely add anything new. How will Alec be able to compete against other wrestlers with so small an arsenal of moves? Though I have good intentions for his future in wrestling, the last question was not a good one to ask. A better question would be to ask: Has he mastered the moves he does know? Unfortunately, the answer is no. He has not mastered them. Don’t get me wrong. He has made remarkable improvements over last year. But in terms of mastery, he still has a long ways to go. How can he hope to learn new moves, when the basics have not been perfected? He needs to keep practicing until they become a part of his nature. The first way to put yourself beyond defeat: Practice the things you know until you have mastered them and can execute them without flaw. Last week, we practiced defending the head and arm throw. It is a favorite method of attack used by other local teams. Because it is easy to defend, we do not teach this attack on our team. To teach the boys how to defend the move, we had to show them how to execute the move. It wasn’t until after they learned the move that we could move on to its defense. This leads to the second way you can put yourself beyond defeat: Identify the things you don’t know. When you watch a football game on television, you only see the finished product. What you don’t see is the hours of watching film. The team is not only studying its own strengths and weaknesses, but it is also studying the other team’s. In essence, they conduct an analysis method known as S.W.O.T. The good fighters of old were courageous. How were they courageous? They practiced what they knew until they became masters. They identified their weaknesses and then practiced to correct those issues. They studied themselves. They studied their enemies. When you read the stories of the old fighters, you only read about the finished product. It was the years of preparation before the battle that put them beyond defeat. Who is the opponent in your life? Who or what is the enemy? We may not have someone out there looking to do us harm, but we all are fighting battles. It would be foolish to think we can win some of these battles overnight. We have to put in the work. We have to build the right habits that will put us in position to achieve success. For those who want to move forward in life, keep practicing.